They used to say “The Sun Never Sets on the British Empire.” If you’ve gone to school anywhere in the Western world—and even if you haven’t—then chances are you know that at one point as much as a fourth of the world was under the control of a tiny little island near the North Sea. From the vast Indian subcontinent to South Africa to the Australian outback, the British Empire stretched far and wide, and naturally included Canada, and still “includes” it as part of the loosely-connected, remaining Commonwealth. That being said, however, the question remains—if you’re looking to leave England behind for the Great White North, where are the best places for an English ex-pat to move? Here are four choice Canadian cities that can make the transition all the easier. Ontario, on the whole, is not only one of Canada’s most internationally well-known provinces, it’s likewise one of its most diverse. That being said, it is still strongly rooted in Anglophone culture, which makes sense, given its British origins and the fact that it was such a comparatively-prominent holding among other Canadian territories and provinces. 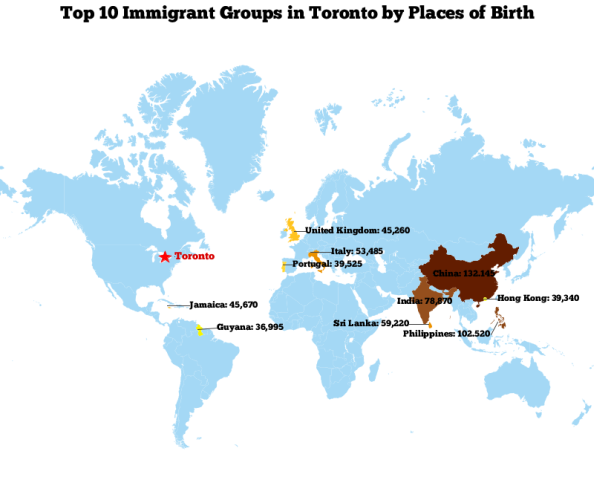 Toronto is a world city, and one of the major cities of the English-speaking world. 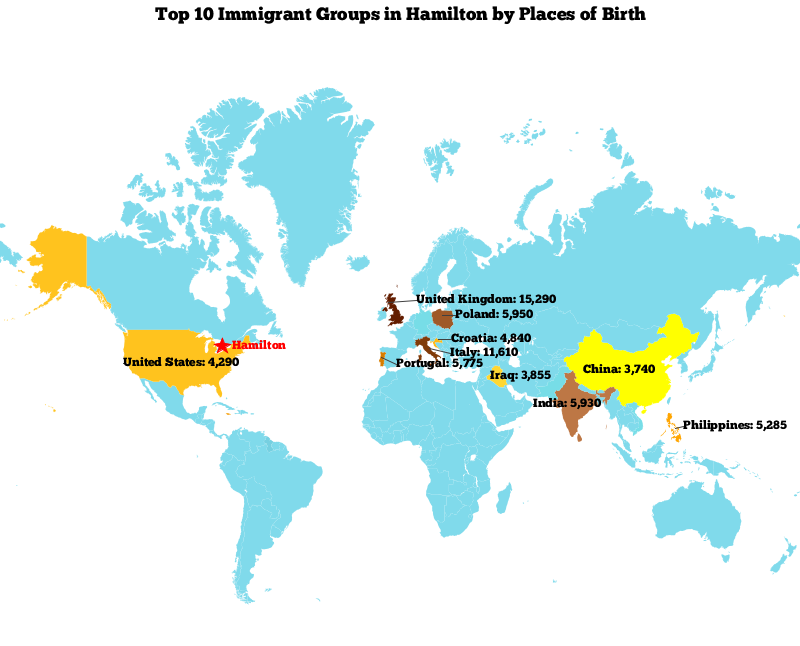 Hamilton is an oft-overlooked locale, but it’s likewise a great destination for Anglophones. And—how can we resist?—there’s always the imaginary possibility of booking a flight from London to London…the former of course being the great world city and capital of the UK, while the latter is an Ontario location named for the great locale. There is a popular children’s book and cartoon in Canada named The Sweater, centring around the travails of a young boy growing up in Francophone Quebec and his love of hockey in general, and Maurice Richard and the Montreal Canadiens in particular. The book and cartoon subtly depict the contrast between his Francophone world, as symbolized by his allegiance to le Canadiens, and the Canada of the Anglophones, as represented by Toronto and their team, the Maple Leafs. For as much as Quebec has continued to assert its individuality and proudly support Francophone culture, Ontario in general and the Toronto area in particular are considered to be one of the great “seeds” of Anglophone culture in Canada, making it a natural choice for British citizens. Alberta itself is an interesting province to choose as an English ex-pat, as it’s a lot further from home than is Ontario. Make no mistake—a flight from Toronto to London and back again is still going to make for an extremely long day, but it’s still “close” enough (albeit while heeding those qualifying quotation marks) to allow for a weekend trip, there and back, assuming you have money to burn. Calgary, on the other hand, is deep in Western Canada, giving you even more distance between yourself and the homeland. British in the US ? What’s more, while Ontario as a whole may be the seed of Anglophone culture in Canada, Calgary is, demographically-speaking, its most abundant region, as it has more people of English ancestry and English ex-pats than anywhere else in the Great White North. As such, Calgary could be an exciting option for those really looking for even more space between themselves and Merrie Olde England than that between Ontario and Southern England might provide, all while staying in the English-speaking world and Commonwealth as a whole. Another potential selling point for Calgary is the fact that oil is big business in Alberta (there’s a reason Calgary’s hockey team is named the Flames, while nearby Edmonton hosts the Oilers.) If you’re looking to make your name in the oil game, or other associated industries, then Alberta in general and Calgary in particular may be just the place for you. When it comes to searching for great England-to-Canada immigration destinations, Ottawa is simply “capital” (pun most certainly intended…and for that, we apologize.) The home to both Canada’s own legislators and the Senators NHL franchise—you can debate amongst yourselves which is having a more unproductive season right now—Ottawa offers a nice, safely Anglo-inspired home away from home for English ex-pats in the Great White North. 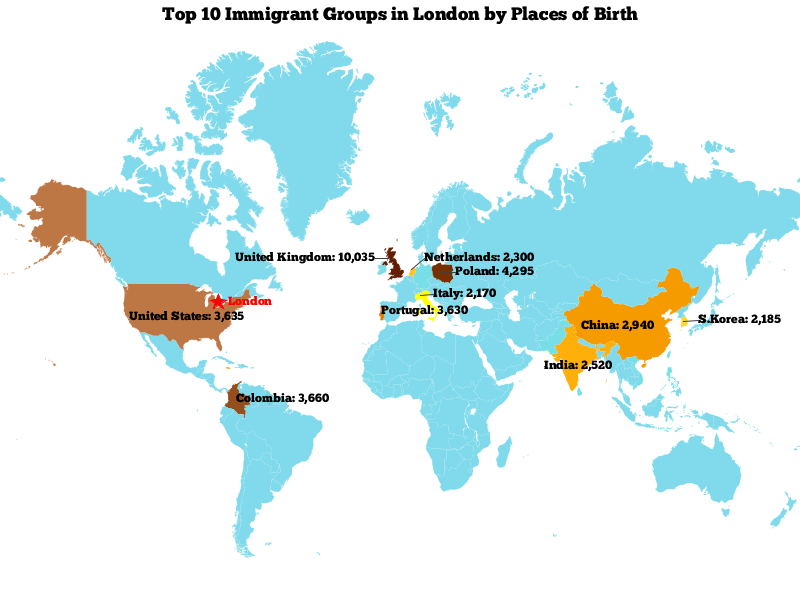 As capital of Canada, Ottawa is, like the other cities on this list, a very metropolitan area, though not nearly as overly built up as, say, London itself. Indeed, in much the same way as Washington D.C. in America is an astounding blend of the metropolitan, the stately, and the suburban, Ottawa has a wonderful mix of big city accoutrements with a more suburban atmosphere than, say, Toronto. Given that it’s Canada’s capital, we’re spotlighting Ottawa on its own here, even though it is of course part of Southern Ontario. Parliament Hill and the architecture of the surrounding area certainly shows signs of 18th and 19th century British influences, which naturally corresponds to the periods of greatest British control over the region. From the National Gallery of Canada to Alexander Bridge, Ottawa is a great tourist destination, and offers a unique mixture of the metropolitan and suburban, all while providing you with one of the best getaways an English ex-pat could ever want. While Vancouver is most notable for its high percentage of Asian immigrants, it’s likewise home to one of the largest clusters of British culture in Canada. All in all, even with Vancouver’s reputation as one of the gems of the Pacific Coast and a haven for Asian immigrants. In the first place, it is part of British Columbia, after all. More than that, however, Vancouver is just one of the world’s rising cities, having hosted the 2010 Winter Olympics and is famed for its tolerance and cultural diversity. Add to that the fact that, outside the greater metropolitan Vancouver area, and the surrounding landscape is lush and green in the woodlands while maintaining a crisp, clear, and pollutant-free coastal area, and Vancouver is simply an attractive city for immigrants, English or otherwise.